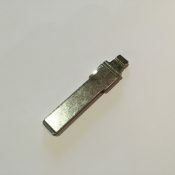 A key for Audi cars manufactured between 1968 and 1995 cut to number or photo. Models include: 50, 60, 80, 100, 200, 4000, 5000, Coupe GT, Coupe B3, Quattro, V8, Coupe, Cabrio. Please add your key number or upload your photo during the checkout. A key blade to fit all Audi flip remotes, cut to the locks on your car. This includes shorter blades to suit the newer Audi remotes (2006 onwards). Models include: A1, A2, A3, A4, A6, A8, Q3, Q5, Q7. 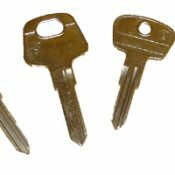 Please contact us if you would like your key cut to key number. These keys are normally more reliable when cut to photo due to inconsistencies in the VAG key number database. Please upload your photo at the checkout. 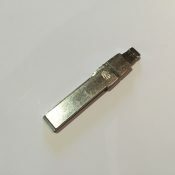 A single Audi key blade, cut to a photo supplied by you. 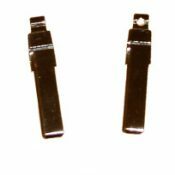 Our blades will fit any genuine Audi Flip Key Fob. If your blade has snapped, all you need to do is remove your old blade, replace it with our new one, and away you go. ​Note: This is given as a guide only, if you have any queries regarding compatibility please contact us.